We stayed there for 4 nights. 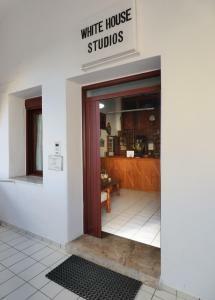 We had a spacious studio with veranda on the ground floor. It was very quiet, clean and well equipped. The location is great. 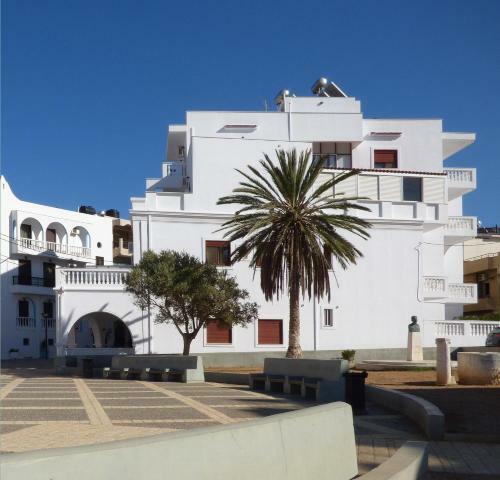 It takes just a few minutes walking to reach the beach or the harbor with its many restaurants and shops. The bus station, supermarket and bakery are also very close. Menios was an amazing host. He was always helpful and available to answer our questions. Thanks Menios for being so attentive. I really recommend staying there. 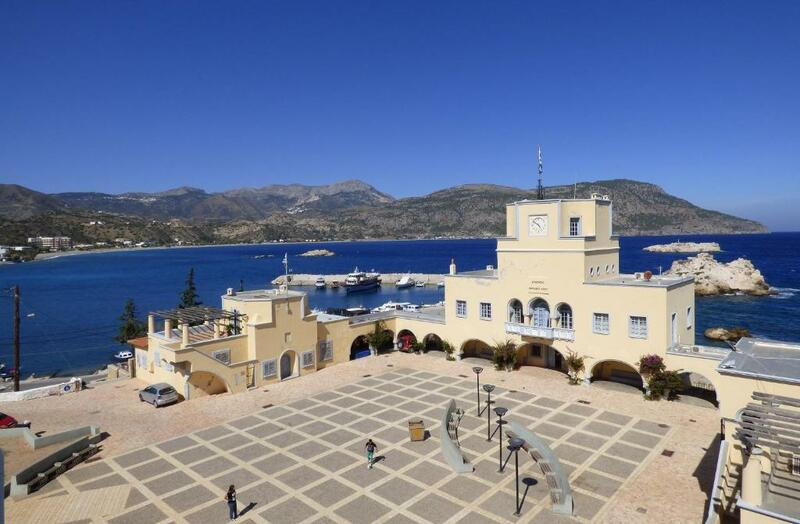 It was a good extremely well located for walking to restaurants as well as an excellent base for exploring the beautiful scenery of the island. Menios was helpful, always there answering any questions and he was always interesting to talk to. Menios, the owner, is just amazing. He's the best host we've ever met! He was waiting for us every evening after the beach to ask if we had a good day and every morning to give us an advice to choose the right beach! The rooms are super clean (he makes every day swans and dogs with new fresh towels). The location is great too: close to all the facilities and restaurants, 5 minutes walk from the port! 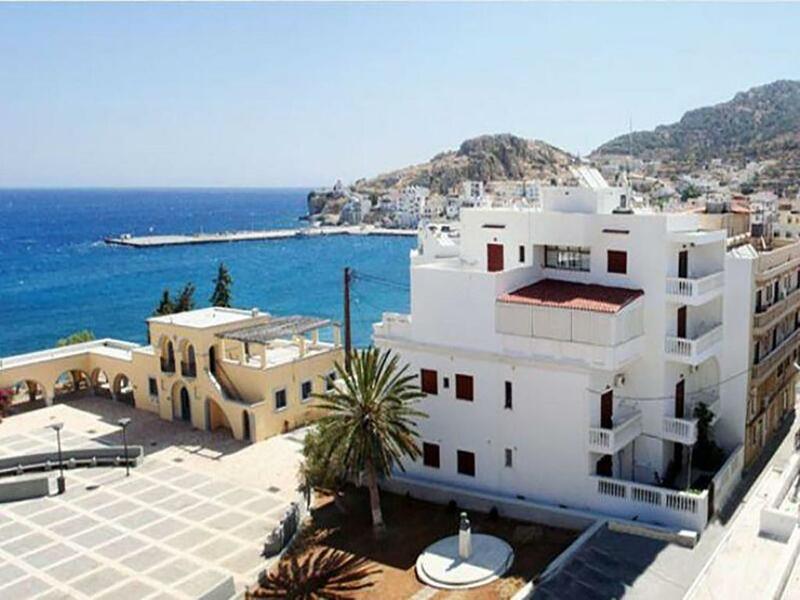 White House is a great, affordable place to stay in wonderful Karpathos! Menios keeps the place super clean and was always there to help us with anything we needed. He also had traditional Karpathian snacks and wine upon our arrival. The location is prime, being right in the center of town with only a five minute walk to the pier, restaurants, and shops...or five minutes away from the local beach. Spacious ground floor apartment, comfortable beds, new shower room. Instead of using air conditioning it was possible to open the windows and doors and let the sea breeze cool the rooms. Good views of Pigadia from both sides of our terrace area. Manager of the rooms was extremely helpful and friendly. I will definitely be returning. The host, Menios, was very warm and welcoming and gave us lots of tips for everything! The rooms were cleaned every day and we had everything we needed. The balcony was big and had a great sea view. Location was great as well, just a few walking minutes from restaurants, cafes, super markets, shops, etc. Location: close to Pigadia harbour, with views from upper floor balconies Great value for money Menios, is a gracious, friendly, hospitable & knowledgeable host The apartments are kept scrupulously clean daily The wifi is good The kitchenette is very useful for breakfasts & light meals There is much to do on Karpathos, with many beaches, interesting boat trips & small villages. The shopping is good, & some of the many restaurants offer genuine Greek home-cooking. We felt at home from the first moment we arrived. Menios the hotel manager showed us to our spacious room and showed us where everything was, and how the tv with hundreds of channels and air condition worked. A small surprise of snacks and wine was in our refrigerator! Menios became a friend and someone to trust to give you information about the island and things to do/eat while there! We booked this hotel for our last few days in Pigadia, Karphatos, before we should fly back to Rhodos. When we booked this hotel for severaöl months before, Dimitri, the owner, contacted us and said that we were very welcome to stay at White House. 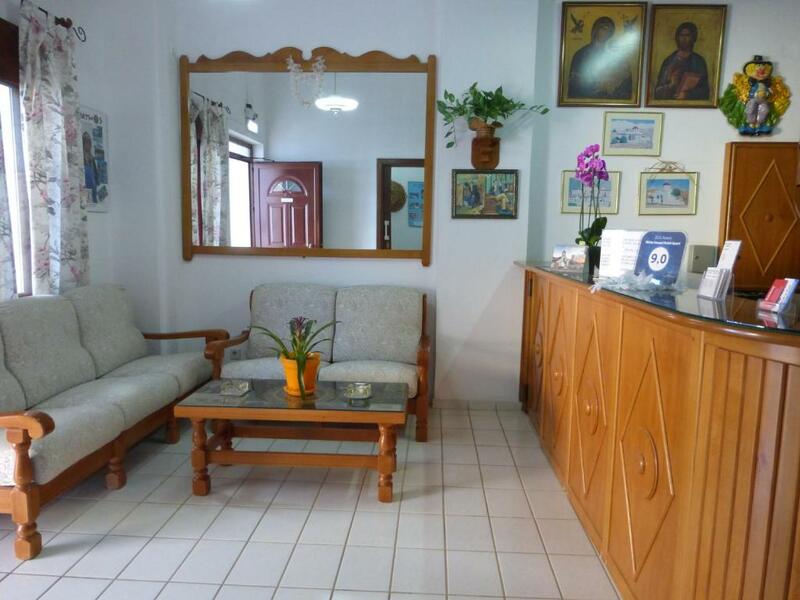 When we arrived, Demitri, showed us the room that was perfect with 4 beds whereof two private. The room was very spacious and approximately 4 m to the ceiling. When we arrived, Demitri had arranged with cold wine and special Karpathian cheese and crackers that we had on the terrass. We really felt welcome to stay here, like we were part of the family. It was a perfect endimg of our week in Karphatos and we hope to come back again soon. I can really recommend this hotel. .
Our 4 days stay in Karpathos with my sister was just perfect!!! 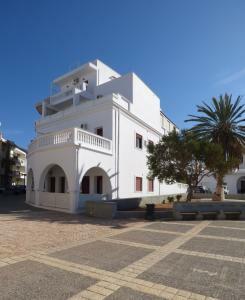 The owner of the hotel Menios is a very friendly and attentive person! He tried to make our stay in White house very comfortable and enjoyable! As a welcome compliment Menios gave us retsina and some very tasty snacks!!! We enjoyed it in our veranda! The room was very clean and comfortable. I liked the figures he made from the towels. It's very important to have the owner like Menios. He tried to suggest us where we should go for 4 days we were there..And at our last day our ferry was at 5 at the afternoon and He provided us to take a shower after the sea before the boat. Thank you Menios very much!!! I hope to see you in a year!!! Lock in a great price for White House Hotel-Apart – rated 9.6 by recent guests! White House Hotel-Apart This rating is a reflection of how the property compares to the industry standard when it comes to price, facilities and services available. It's based on a self-evaluation by the property. Use this rating to help choose your stay! One of our top picks in Karpathos – and a guest favorite. 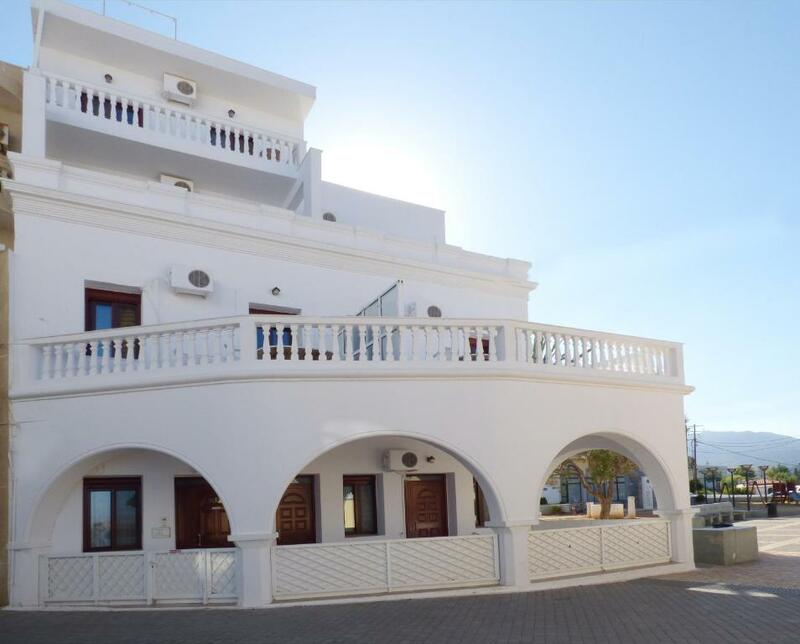 The traditionally-built White House Studios is centrally located in Pigadia Village of Karpathos, within 350 feet from the beach and just 50 feet from restaurants and shops. It offers self-catering accommodations with free Wi-Fi and a balcony or patio overlooking the Aegean Sea. Bright and airy, the simply furnished studios and apartments of White House have a kitchenette or a kitchen with dining area. Each air-conditioned unit is equipped with a fridge, cooking hobs and a TV. Some units also include a stove. The private bathroom comes with a shower. 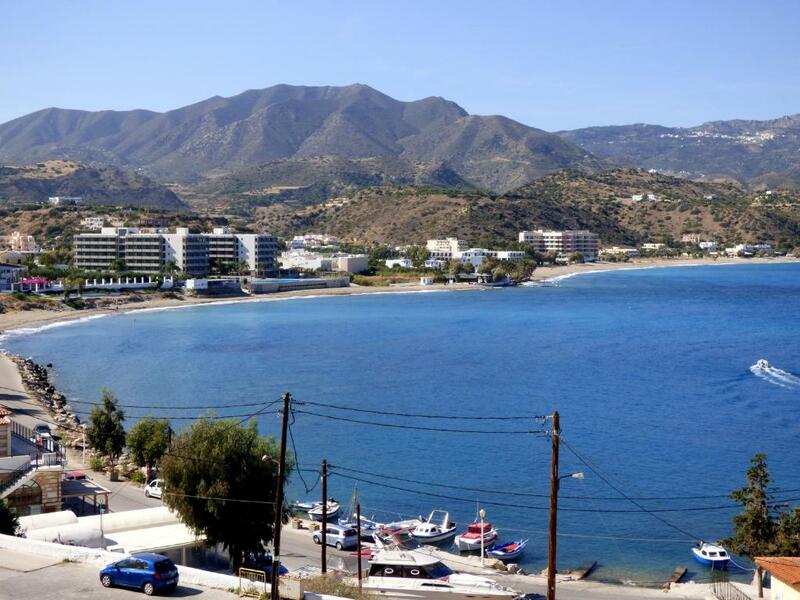 White House Studios is located 9.3 mi from Karpathos National Airport and just 1,650 feet from the port. Staff at the front desk can help arrange car rental to explore famous beaches, such as white sandy beach of Apella at 11 mi and Achata at 8.1 mi. Free public parking can be found nearby. 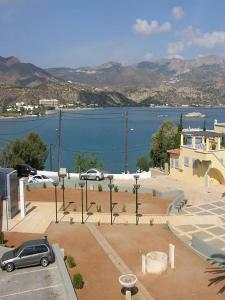 뀐 Located in the top-rated area in Karpathos, this property has an excellent location score of 9.8! When would you like to stay at White House Hotel-Apart? Just 328 feet from the beach, this air-conditioned studio opens out to a balcony or patio with views over the Aegean Sea. A kitchenette with fridge and cooking hobs is available. Guests enjoy free Wi-Fi access. Overlooking the Aegean Sea from its balcony or patio, this air-conditioned apartment has a separate bedroom and a kitchen with seating and dining area. A fridge, a stove and a TV are available. Guests enjoy free Wi-Fi access. This apartment has a balcony, satellite TV and toaster. House Rules White House Hotel-Apart takes special requests – add in the next step! Although quiet during the day the rooms overlooked the Town Hall square which was used for football games by the local kids every night from 7 and then as a meeting place for teenagers from 11 which meant it could get rather noisy. Having said that we were out for dinner while the football was on and if the teenagers were a bit noisy we could retreat into the apartment, close the windows and put the air conditioning on and so we slept well. The owner was very kind and helped us with a good price on a rental car. Location is great and rooms was well cleaned. The beddings where made in a special way every day which was a fun detail. If luxury is not important for you this hotel is perfect. Our host was so kind to us, gave us a very welcome surprise snack, as we arrived late .our room was enormous ,and well equipped .superb position. White House Studios, Pigadia Karpathos. We had a wonderful 2 night stay at these studios & could not fault the property for anything. The hotel is located right on the edge of town, only a few steps to the start of the port front tavernas and bars. Rooms have varying degrees of seaviews , port views or town views. We had a lovely room on the 3rd floor with a large private balcony that looked towards the long stretch of beach and mountains behind. Very pretty. It was a very large room, comprising two beds, a compact kitchenette , with fridge, coffee maker and utensils. The area had a small table and 2 chairs that would enable you to prepare breakfast or small meals. A large flat screen TV was mounted on the wall with loads of channels from various countries. Although not the most up to date furnishings, everything worked, nothing was broken and the room was absolutely spotless. It smelled of clean! It was shiny clean! The shower was hot, the beds were very comfy, & the windows had pull down shutters for extra quiet and darkness. We slept so well. Melios , the host , was a wealth of knowledge, regarding restaurants, beaches, hiking trails etc.... Plus he was a very nice guy. The hotel does not have its own car parking but we had no trouble finding ample parking spaces within a few minutes of the hotel. Being a big island, we chose to spend our week exploring , with a few nights here and there around the island, which we thoroughly enjoyed. We're already planning our return visit next year & we would definitely return to WhiteHouse Studios for our Pigadia stay.